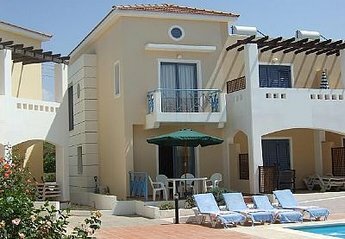 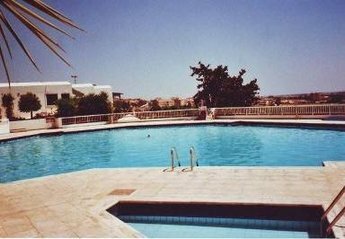 Found 212 holiday rentals in Paphos District. 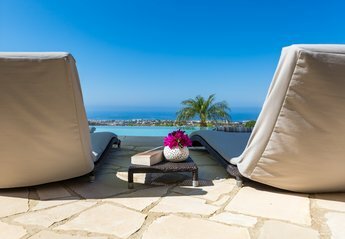 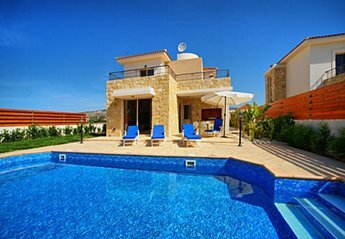 COMPLIMENTARY PAPHOS AIRPORT TRANSFERS, Luxury house, Large Pool, WiFi, Full UK TV 6 Speed Manual Turbo Diesel Renault Meganne Grand Scenic available, if required, at preferential rates. 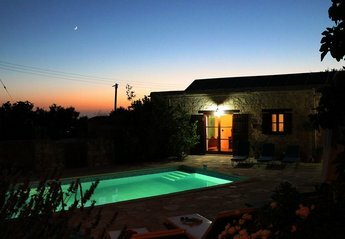 Spacious and airy villa in delightful rural village. 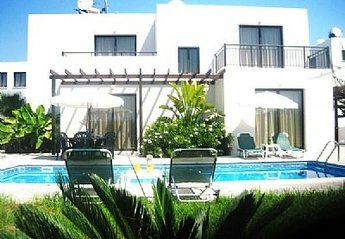 Large private pool amongst landscaped gardens lined with palm trees and flowering herbs. 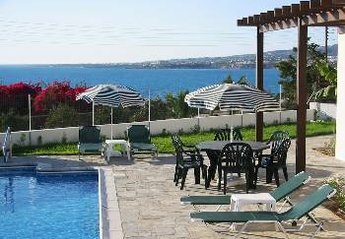 Ten minute walk to beach and tavernas. 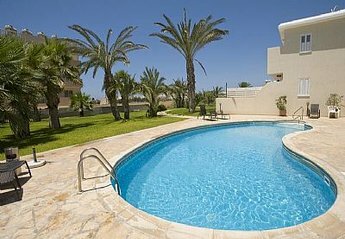 Poolside townhouse in sought after location. 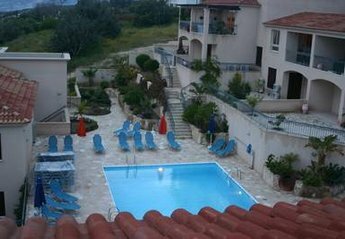 Two shared pools within beautifully landscaped gardens. 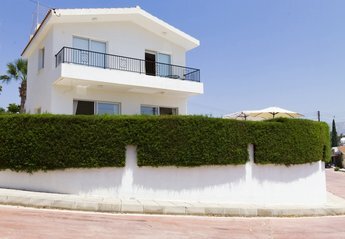 Large south facing veranda and balcony. 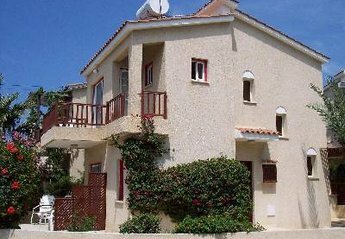 Twenty minutes walk to Paphos amenities and harbour. 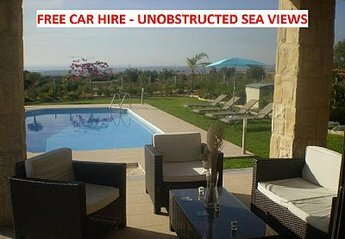 **7 Seater Megane Scenic included in rental price**This very executive and smartly designed villa sits on the hillside in the Cypriot village of Peyia & commands stunning views of sea and mountains. 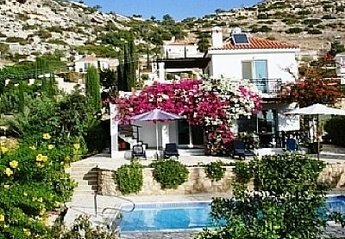 Well-appointed stone built villa with dramatic backdrop in a most exclusive residential area. 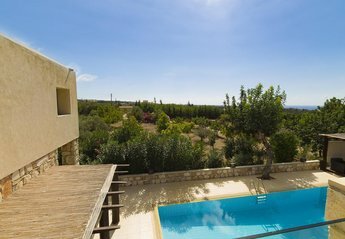 Elevated position provides panoramic views of countryside and sea. 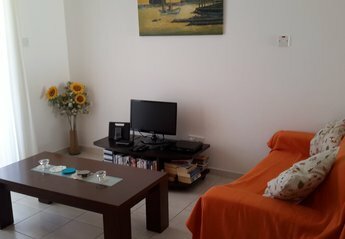 Twenty minute walk to village. 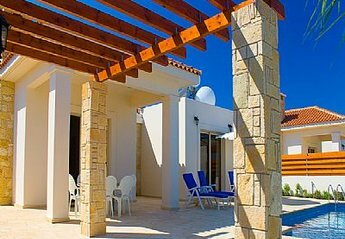 Stunning interior, wonderful elevated position, smart exterior, private pool, 2 1/2 bathrooms, great location, the list goes and on and on as Villa Stella really is a great Cyprus holiday villa. 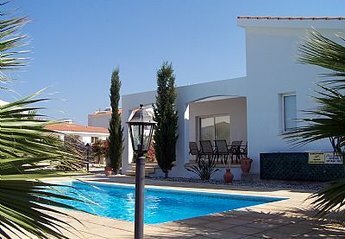 Delightful and affordable three bedroom detached villa near Coral Bay in a quiet cul-de-sac with private pool, Toyota RAV 4 and free WiFi included. 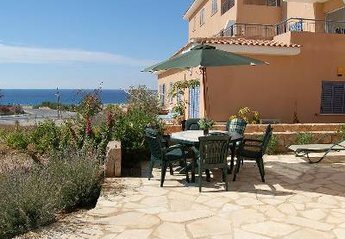 This lovely townhouse villa sits in a stunning seaside location with great views. 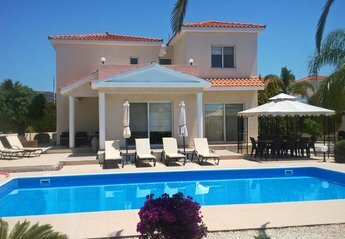 Sleeps 6 in 3 bedrooms, with 2 bathrooms. 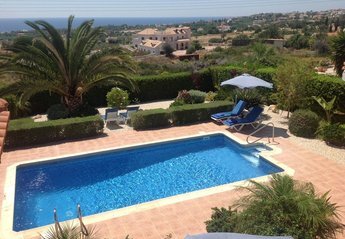 This luxurious Golf Villa with mature gardens affording privacy & seclusion is situated nr Secret Valley Golf Course with an open outlook over the adjacent green area & towards the Mediterranean Sea. 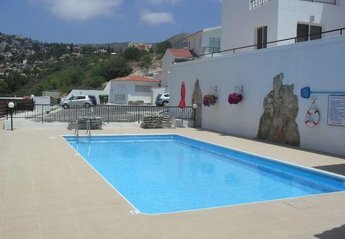 Set in tranquil landscaped gardens, close to harbour, beaches old town and historical sights. 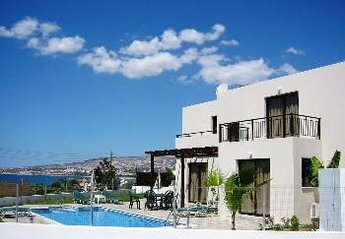 Beau View is an exclusive gated complex of just 11 apartments and townhouses situated just a few minutes walk from Peyia Village square and all its amenities. 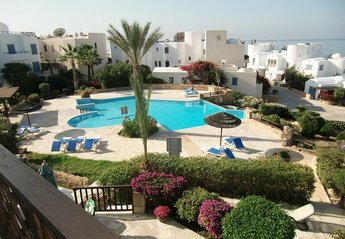 Peaceful villa with a private pool offering spectacular sea views over Coral Bay. 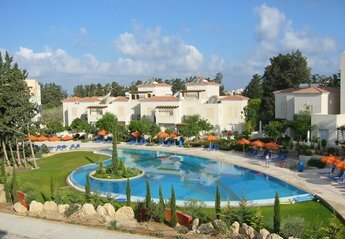 Bright and spacious apartment ideal for a wonderful romantic or family holiday in the best part of Cyprus. 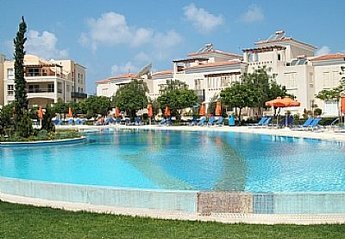 We found 212 holiday rentals in Paphos District.